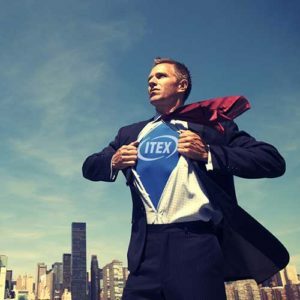 ITEX has over 20,000 members in the United States and one of the things we hear all the time is that our members prefer using their ITEX money for their very own business expenses. And THAT is exactly what you should be doing! Everything that comes in to your business is recorded as a business write-off and after everything is paid, you get to take some home. You use those funds to go out to eat, have repairs done on your house, or even pay for legal expenses. You can do the exact same thing with ITEX Dollars when your business pays you in ITEX Currency. Then all you have to do is annotate the payment as a business write-off. The home repairs, the special dinner, or the legal paperwork you need is all paid for! So, how do you do something like this? It’s easy. You’re going to want to create a subaccount within your ITEX business account to have your business directly compensate you for the goods or services you have used or to directly pay yourself. You will then have your CPA add this as personal income. ITEX is there to help you every step of the way get the things done that you need to get done to make your life easier and less stressful. Best of all – it’s all considered a business expense. When you have an ITEX account and you’re earning and spending ITEX currency, you’re not only getting what you want and need (and helping others do that too) but your also keeping important cash-flow where it belongs, in your business. Another way you can use your ITEX dollars as a business expense is with your employees. Say you want to reward your employees but you don’t want to use your capital to do so. You can use your ITEX dollars to purchase ITEX goods and services for that employee such as chiropractic care. Your employee gets the benefit of having their needs met without expensive premiums, it’s not out of pocket for them, and you show them that you care. The whole purpose of ITEX is to help your business grow and to improve your cash-flow. You went into business so you could bring your passion to the marketplace and make a profit. AS always, it’s a good idea to talk with your tax advisor or a licensed CPA (check the ITEX marketplace for one) to ensure that everything is accounted for appropriately. The ITEX Marketplace is the perfect way to grow your business, save you capital, and improve not only your life, but the life if your employees. ITEX Dollars just make sense and are great for your bottom line.